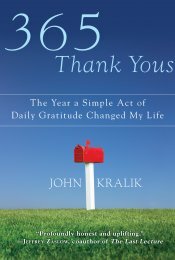 As soon as I heard about John Kralik’s new book, 365 Thank Yous: The Year a Simple Act of Daily Gratitude Changed My Life, I wanted to read it. I’m a big fan of gratitude in general and thank you notes in particular. But this book is no trivial handbook on writing thank you notes. Kralik tells his story with surprising depth and emotion and describes how his life was really transformed over the course of a single year by a simple (yet difficult) change in perspective. Kralik’s story begins at a low point in his life, a time when he felt as if his life was falling apart, and he was mired in despair. His law practice was in the red, his personal finances drained, his two previous marriages broken up, and even his latest girlfriend had recently broken up with him. After a thoughtful walk in the mountains on New Year’s Day and spurred by memories of his grandfather (and perhaps a bit of divine intervention), he comes up with a plan: to write a thank you note every day for a full year. He doesn’t expect a lot from this project, but he has a vague sense that it will help him to be more grateful for what he has and perhaps, as his grandfather tried to teach him, will result in gaining more of what he wants. His project begins slowly, with a few thank you notes written for Christmas gifts, and he wonders how he’ll ever find 365 things to be thankful for. I won’t tell you what happens next and spoil the book for you, but this silly little project turns out to have quite a profound effect on his life over the next year and beyond. I listened to the book on audio, read by the author (as I think memoirs should be). Kralik has a quiet, somewhat monotonous voice, but I came to really enjoy listening to him. He is obviously a good, kind person who had fallen on hard times, and I enjoyed his dry sense of humor throughout the book as well. His book tells an engaging story, but it is also inspiring. Even though I was already a thank you note enthusiast (my kids have been sending thank you notes for birthday and Christmas gifts since they could first hold a crayon! ), Kralik’s experiences and his kind, gentle manner motivated me to find more ways to express my gratitude to anyone who has made a difference in my life. Listen to a sample excerpt from the audio book. Alice Kuipers, author of Life on the Refrigerator Door - I never would have guessed a novel written in short notes could make me sob! Ken Grimwood, author of Replay, perhaps my favorite book of all time, sometimes ignored simply because it's classified as science fiction (it's about a guy who keeps reliving part of his life). Jennifer Haigh, author of Baker Towers and Mrs. Kimble and The Condition (I loved the first two and have the third on my waiting-to-be-read shelf). Amy Krouse Rosenthal, author of Encyclopedia of an Extraordinary Life, a very fun and funny memoir and also author of numerous wonderful essays. Thrity Umrigar, author of The Space Between Us, a novel my book group loved. Mark Childress, author of One Mississippi, one of my favorite novels - I'm not sure if he's written anything else. Catherine Glidner, author of Too Close to the Falls, a wonderful memoir. Jenna Blum, author of Those Who Save Us, a complex and thought-provoking WW II novel. Roland Merullo, author of Breakfast with Buddha, a thought-provoking novel I was just recently thinking I'd like to read again. Kristin Hannah, author of Firefly Lane, again I'm not sure if she's written anything else, but I loved this novel. How about you? Which authors do you think deserve more recognition? 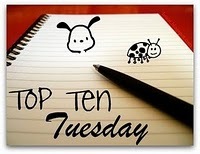 (If you're interested in my Top Ten list for kid/teen books, check out Great Books for Kids and Teens). Monday already? We spent the entire weekend working on our tax return (and still haven't finished) - doesn't feel like we really had a weekend at all! I had to take a little break from blogging the second half of last week - just too far behind in too many things and feeling overwhelmed. So, I apologize if I didn't get a chance to visit your blog last week. I'm hoping this week will be better, in many ways! I am still reading Unbroken, by Laura Hillenbrand, a fascinating and compelling story about an Olympic runner who was a POW in World War II Japan. Besides being captivated by the tale, I'm learning a lot - I really knew very little about Japan's role in WW II. I finished listening to 365 Thank Yous: The Year a Simple Act of Daily Gratitude Changed My Life by John Gralik on audio. I really loved this book and hope to review it here soon. My husband is on a sci fi run lately. He first read an old favorite, Riverworld by Philip Jose Farmer. He told me a bit about it - a world of resurrection, where every person who has ever lived goes after death - and it sounds interesting. He's now reading a new sci fi release we found at the library, Leviathans of Jupiter by Ben Bova. This was just a spontaneous pick from the library's new release shelf, but he says it's pretty good so far, a classic life-on-another-planet sci fi story. Jamie, 16, read Goldstrike, the teen techo-thriller sequel to Icecore by Matt Whyman, and loved it. I'll have to check that one out, since I enjoyed Icecore, too. He's now reading Beyonders: A World Without Heroes by Brandon Mull, a new release from a favorite author (author of the Fablehaven books). Jamie is also reading The Red Badge of Courage by Stephen Crane for his American Lit class. Craig, 13, is reading Tom Sawyer by Mark Twain for his English class - now there's a school assignment anyone could love! We've listened to some great audio books of Tom Sawyer, but this is the first time he's read it on his own. Before I went into overload and had to take a blogging break, I posted a review of Cleopatra's Daughter by Michelle Moran and my list of Top Five Bookish Pet Peeves. One of the things I enjoy about book groups is that they often result in reading books that I normally wouldn’t pick up myself. Cleopatra’s Daughter by Michelle Moran is just such a book. I guess I still have this idea in my head that I don’t like historical fiction (probably left over from not enjoying history class in school! ), even though my book groups have now introduced me to plenty of it that I have enjoyed. Cleopatra’s Daughter is, quite obviously, about the only daughter of Cleopatra. It takes place just as Marc Antony’s rival, Octavian, captures Egypt, and Antony and Cleopatra take their own lives, leaving their twin 10-year old children, Selene and Alexander, orphans. Octavian takes the twins as prisoners and brings them back to Rome with him. Once he has paraded them through Rome in his victory celebration, they aren’t treated as prisoners, though. It’s really quite fascinating. The children lived in Octavian’s sister’s (Octavia) home and were raised alongside her children and Octavian’s and treated mostly as equals to them, attending school together, eating meals together, and becoming friends. The story, narrated by Selene, continues through their adolescence. The novel feels very much like a Young Adult novel, since it is narrated by a young girl, focused on the details of her daily life, her hopes of returning to Egypt someday, her fears of what Octavian might do as they grow up, as well as the concerns of every teen girl: boys, clothes, love, and her future. Selene and Alexander are both very likeable characters, as are most in Octavia’s household, and the historical details are fascinating. Moran must have done meticulous research. In fact, we learned in the author’s notes at the back of the book that truth really is stranger than fiction! My only problem with this novel was having trouble following it in the beginning. There are many characters to keep track of, often with similar names (Octavia and Octavian aren’t the only ones), plus the Romans of the time tended to divorce and remarry multiple times, with children resulting from each partnership so it was tough at first to remember which children had which parents – lots of mix and match. Moran includes some helpful references at the start of the book – a historical timeline, two maps, and a list of characters – which I found myself flipping to constantly during the early chapters. Once I got further into the story and more familiar with the characters and events, it got easier. Everyone in my book group enjoyed the novel very much, and it sparked lots of great discussions on a wide variety of topics, ranging from the history of divorce to the role of religion in ancient cultures to foods and other details of daily Roman life. If you enjoy historical fiction (and maybe if you think you don’t), you’ll enjoy this engaging look into growing up in Ancient Rome. Cover art that doesn't match the book. Confession: I read this one over at Books Kids Like, but it's been a peeve of mine ever since I read The Goddesses of Kitchen Avenue, a novel where the cover picture had absolutely nothing to do with the novel itself - that really annoyed me. Can't the publisher be bothered to tell the artist what the book is about?? Poor editing. This should really be #1 and now that I think about, it covers peeves #6 - 10 since lots of problems result from it. Sometimes, you can just tell that the book wasn't well edited, and it really bugs me. I once read a memoir about hiking the Appalachian Trail. It was interesting but was so filled with horrible, obvious grammatical errors that it made me grimace through the whole book. Everything has a sequel now. This bugs both my husband and I. It seems there are few stand-alone books anymore. Everything is now part of a series. I just don't have the time to commit to reading a whole series every time I pick up a book! Using $1 words when 5 cent words would work just as well (or better). My husband contributed this one. He says Dean Koontz often does this - tends to use big, flowery words that no one understands. How about you? Do you have any Bookish Pet Peeves? Happy Spring! 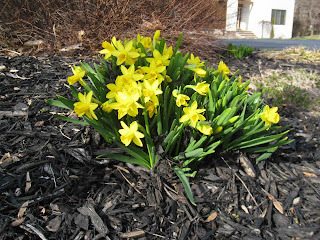 Pouring rain here today, so it sure feels like spring. And the thunder last night woke us all up and shook the house. At least the weekend was nice and sunny. I finished Pathfinder by Orson Scott Card, his latest sci fi novel for teens/YA. Jamie and I both LOVED this book! Even though I finished it a few days ago, I keep thinking about it. I cheered when I read in his acknowledgments that there is a sequel! Now I'm reading one of my Christmas gifts, Unbroken by Laura Hillenbrand. She's a hero to me, since she has written her two amazing books while completely disabled by the same chronic illness I have. She is a remarkable, inspiring person, as is the subject of her latest book. My husband, Ken, read a nice, lightweight paperback last week since he was traveling: Indigo Slam by Robert Crais, one of his favorite authors. Jamie, 16, is rereading Icecore by Matt Whyman, in preparation for reading its sequel. He and I both enjoyed this teen techno-thriller. Last week, I posted a review of The Three Weissmanns of Westport, an audio book I enjoyed. After hearing multiple positive reviews of Catherine Schine’s novel, The Three Weissmanns of Westport, I was intrigued. So, when I saw the audio book sitting on my library’s new releases shelf, I checked it out, figuring I might not ever get around to reading this book, but I might find time to listen to it. I’m glad I did. This is the sort of book that grew on me; the longer I listened, the more I liked it. It’s the story of a mother, Betty Weissmann, and her two grown daughters, Miranda and Annie. Betty’s husband – and the girls’ beloved stepfather – has left her after almost 50 years of marriage for the clichéd younger woman (though Betty doesn’t know about Felicity yet). Miranda, who runs a successful literary agency, finds herself in dire straits when one of her memoirists turns out to be more of a novelist and is exposed on national television (sound familiar?). Annie, who is divorced, lives a quiet, monotonous life working in a library. When Betty is turned out of her fancy Manhattan apartment and Miranda can no longer pay her own lease, all three women take up a cousin’s offer to move into his beach cottage in Westport, CT. The girls are, in part, trying to be supportive during their mother’s crisis, but all three are in need of a place to hide out and lick their wounds. At this point, it sounds like a pretty depressing book, right? That’s how I felt at the beginning, and though I felt sorry for Betty, her daughters seemed a bit whiny to me. But I stuck with it, and I began to appreciate the subtle bits of humor and irony in the story, sometimes laughing out loud. I also began to care about all three of the main characters, as they each struggled with loves past and potential and with trying to put their lives back together. The novel also brought me to tears with its surprising warmth. All of the reviews explain that Schine’s novel is a clever modern retelling of Jane Austen’s Sense and Sensibility, but I can’t really comment on that, as I’ve never read the famous novel…or for that matter, anything by Jane Austen (I know, I know…it’s on my list.) Perhaps The Three Weissmanns of Westport will serve as the impetus to finally drive me to read an Austen novel, just so I will be able to see the parallels. In any case, I enjoyed the novel very much, without benefit of this background, so I imagine it will be even more satisfying to fans of Sense and Sensibility. Where Are You Reading 2011: Finally, an easy book location to figure out - it's right in the title! This novel takes place in NYC and, primarily, in Westport, CT. I finished reading Cleopatra's Daughter by Michelle Moran and enjoyed a very lively discussion with my book group last week. Everyone enjoyed it. I am now reading Pathfinder, Orson Scott Card's latest release for teens/YA. So far, it is just as good as Jamie told me it was! It's a time traveling story with lots of secrets and twists from one of our favorite authors. My husband, Ken, finished Pirate Latitudes by Michael Crichton. This was Crichton's last published novel; the manuscript was discovered after his death. Ken said it was good but different than the typical Crichton approach of taking some new scientific tidbit and building a story around it. Instead, this novel is an old-fashioned pirate story. Jamie, 16, continued reading some old favorites with The Bartimaeus Trilogy, Book Three: Ptolemy's Gate by Jonathan Stroud. He loves this series. Craig, 13, was very sick all last week but started working on make-up work this weekend. He's reading an O. Henry short story, A Retrieved Reformation, for his English class. With another sick week here, I didn't have much spare time for either writing or reading blogs last week, but I did manage to write two reviews: Stones Into Schools by Greg Mortenson and an excellent teen/YA audio, Thunder Over Kandahar by Sharon E. McKay at Great Books for Kids and Teens. The only good thing about turning the clocks ahead? It means spring is on the way, as do these snowdrops blooming in my neighborhood. Now can I go back to bed?? 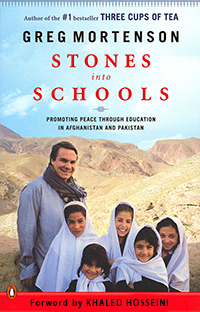 I recently read Greg Mortenson’s second book, Stones Into Schools: Promoting Peace with Books, Not Bombs, in Afghanistan and Pakistan, for my library’s monthly discussion group. I previously read Three Cups of Tea, his first book, and although I was fascinated by the subject matter, I didn’t think it was very well written. That first book had been written with a co-author, a journalist, while Stones Into Schools is written solely by Mortenson and is a much better book, as everyone in the book group agreed. In addition to being a profoundly bewildered man, I am an incorrigible introvert. I am awkward, soft-spoken, ineloquent, and intensely shy. I do not enjoy speaking in public, posing for photographs, or asking other people for money. I dream of privacy, I revere silence, and I loathe any action that involves drawing attention to myself. (Even creating these pages was painful: It took a supreme effort on the part of my wife, Tara, and my editor, Paul Slovak, to force me to agree to write it in the first-person – an approach that is emphatically not my cup of tea.) In the Christmas pageant of life, the characters I admire most – and the only roles for which I would ever consider auditioning – are the ox and the donkey. As this single paragraph showcases, Mortenson writes with intimacy, warmth, and wit, and the decision to write from the first-person was absolutely the right one (nice job, Tara and Paul!). As with Three Cups of Tea, the subject matter of the book is riveting and enlightening. Mortenson describes his continuing efforts to build schools for children, especially girls, in the most remote areas of Pakistan and Afghanistan through his non-profit group, Central Asia Institute (CAI). He tells of their efforts in a very engaging way, focusing on stories of individual people who have been involved with or helped by CAI, as well as the often-fascinating paths that led to building schools in the most remote regions. His tales are heartwarming (sometimes heart-breaking) and inspirational, especially the lengths that he and his colleagues are willing to go to provide education to children that have long been forgotten by the rest of the world. This wonderful book provided excellent fodder for discussion among the diverse attendees at my library’s book discussion. Its stories are enhanced by many maps and photographs (I especially enjoyed the photos of schools and children). Stones Into Schools is engaging and instructive, illuminating a world that is completely different from our own but is linked by the same human longings for education, wellness, and a better future for our children. NOTE: Interestingly, at the same time I was reading Stones Into Schools, I was also listening to a fictional teen/YA book set in rural Afghanistan about two young girls attending a new school built for them by an American non-profit. I highly recommend Thunder Over Kandahar for a fictional perspective of the same region. To learn more about CAI or to donate, you can visit the CAI website. Where Are You Reading 2011: Although CAI has built schools all over Pakistan and Afghanistan, I chose to put my pin on Bozai Gumbaz, Afghanistan, site of the most remote school built to date (what they had to go through just to get building materials there is awe-inspiring!) and a story thread that flows throughout the book. Happy Mardi Gras! Well, Mardi Gras Day is actually tomorrow, but we're in the midst of the height of the celebrations. 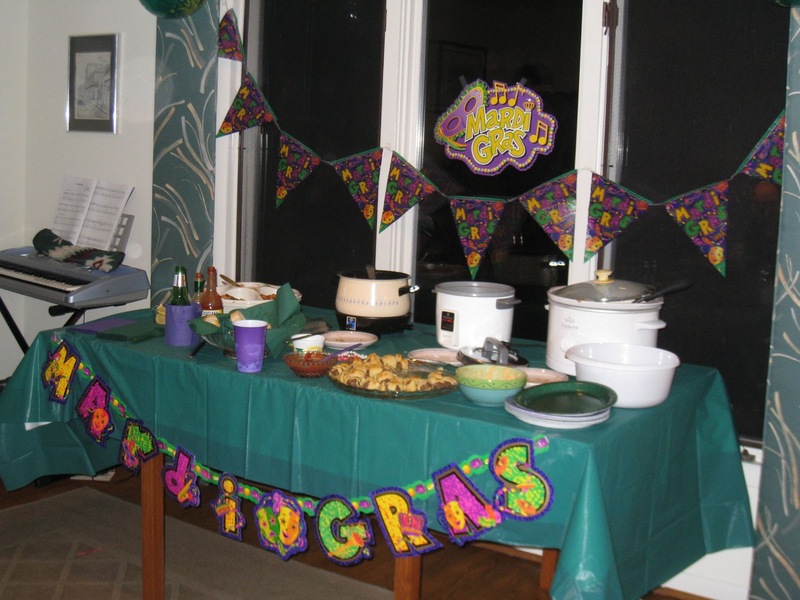 We used to live in New Orleans, so Mardi Gras is one of our favorite holidays. 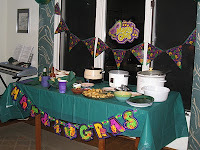 We had a small party Saturday night, including several friends who used to live in New Orleans when we did, and have been enjoying jambalaya, red beans & rice, shrimp, bread pudding, and King Cake all weekend! I am reading Cleopatra's Daughter by Michelle Moran for my neighborhood book group this week. I struggled with it a bit at first because I couldn't keep the characters straight (lots of similar names and lots of changing partners! ), but I am enjoying it very much now. I finally finished Thunder Over Kandahar by Sharon E. McKay, a teen/YA audio book that I've been listening to for quite a few weeks, about two young girls in Afghanistan. It was absolutely wonderful, one of the best teen books I've read/heard in years. Jamie, 16, finished The Awakening by Kate Chopin for his American Literature class. He said it was terrible - I guess a passionate story of female awakening just isn't his style! He also said he didn't like the ending. While home sick, Jamie turned to some comfort reading - re-reading one of his all-time favorite series, The Bartimaeus Trilogy by Jonathan Stroud. He read Book 1: The Amulet of Samarkand and Book 2: The Golem's Eye and is moving onto Book 3. Craig, 13, prefers TV to books when he is sick! Last week, I posted a review of Between Home and School: Letters, Notes and E-Mails by Bill Harley, a slim but wonderful book about a boy growing up and a review of Blank Confession by Pete Hautman, a teen/YA suspense novel at Great Books for Kids and Teens. 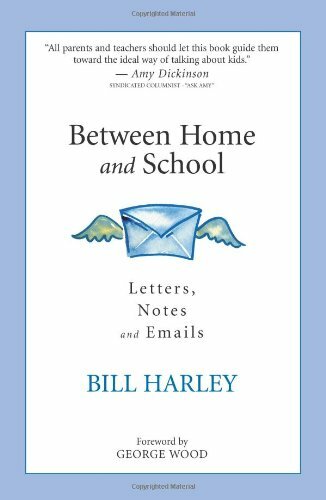 As soon as I heard about Between Home and School: Letters, Notes, and E-mails by Bill Harley, I couldn’t wait to read it. Bill Harley is a favorite at our house. We are huge fans of his performances where he is a cross between a singer, a storyteller, and a family-friendly stand-up comedian. We have listened to/watched (we have both the CD and DVD) his Yes to Running! a dozen times, and we still laugh hysterically each time! Harley has a special talent for capturing exactly what it’s like to be a kid. His picture book, Dear Santa: The Letters of James B. Dobbins, is also one of our favorite holiday books. Harley’s latest achievement is a tiny book (I read it cover-to-cover in less than 30 minutes) that is written for adults rather than kids. With his trademark warmth and wit, Harley tells the story of a young boy, Tyler, growing up, solely through a series of letters, notes, and e-mails that pass back and forth between the boy’s mother and the teachers he has over the years, from kindergarten through high school graduation. I appreciate your observations. I know you are worried. Tyler is doing fine. He is performing exactly as expected at his grade level. It is normal for a child to confuse sounds at this age and also typical that he guess, rather than really read. We all guess, most of the time. If you would like to talk to me, please come in on Tuesday, directly after school. Between Home and School is a creative and appealing way to tell a story by a writer who excels at being both creative and appealing in all media formats. This little story would make a wonderful end-of-year teacher thank-you gift, a way of telling your child’s teacher that you acknowledge and appreciate the significant role she or he plays in your child’ life. Wow, March 1. February sure is a short month. 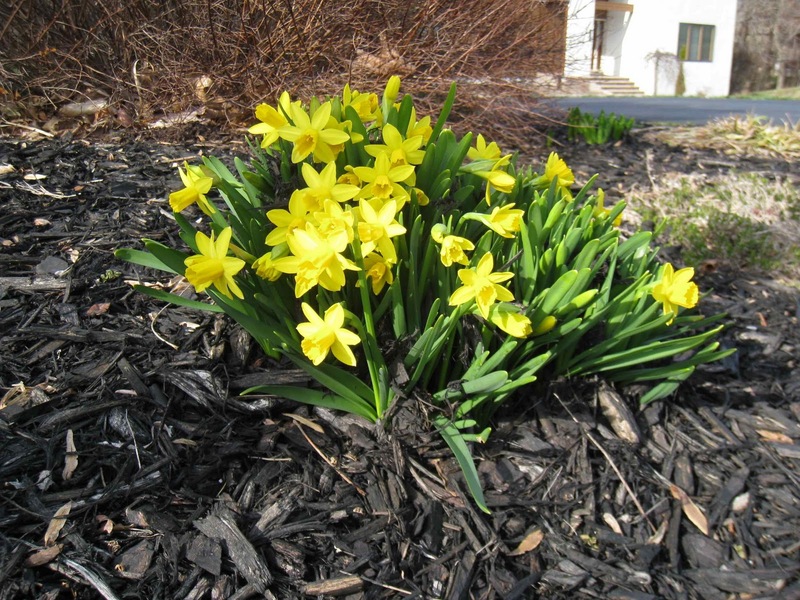 The good news is that spring is definitely on the way, which is good. I've had enough of snow days and sick kids. It was also a very busy month for us, with two weekends in a row away. I'm building up to an excuse for only reading five books this month! Well, it IS a short month, right? Those missing 2-3 days really make a difference. Well, in my defense, February did include two books over 500 pages! That's three nonfiction (one of which was a memoir), one grown-up novel, and one teen/YA novel. That's a lot more nonfiction than I usually read and a lot less kids/teen books than I usually read - an unusual month. I would have to say that my favorite book of February was probably The Hour I First Believed by Wally Lamb, though Stones Into Schools was a close second. And, embarrassingly, I haven't written a single review yet of the books read in February! Yikes. I knew I was behind, but I didn't realize it was that bad. Well, I plan to catch up a bit this week since some of these are due back to the library! Hope you had a good February - I'm ready for March!